Headquartered in Bengaluru, India, Jeevan Builders strives to place architectural novelty and construction excellence at the heart of its every project. Effectively putting to use time tested building techniques, sublime designs and immaculate attention to detail in each project, the company crafts quality abodes to meet distinctive lifestyle needs of modern families. The dedicated team of real estate professionals take care of the customers' every requirement - from pre-sale queries and on-site feedback to post-sale follow up. The transparency in dealings and timely completion of projects add to the delight of being the company's customer. 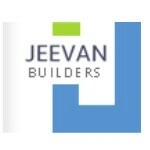 Simply explore the company's ongoing projects to be a part of the growing group of Jeevan Builders' happy homeowners.